If You decided to establish safety system on your allotment garden, then this article is for You! Here we will conduct analysis of that which safety system to choose for country house, to save at the same time and maximally to provide safety of all allotment garden. Well. Conditionally the task of safety assurance of allotment garden it is divisible into two parts: the first – safety assurance of external space, the second – safety assurance of inside space of country house. We will review both tasks of safety assurance of country house in more detail. 1. Safety assurance of external space of allotment garden. From our point of view for good safety the perimeter of allotment garden it is possible to go by two ways: the first – is purchase of the equipment of the safety system and connection to stationary board of security company. But here we meet with dearth of the equipment of the safety system and monthly abonent payment, so to save on such variant it will not turn out. Therefore a given variant we will not consider. The second variant – is the installation of independent safety system with opportunity of remote monitoring. There are here two opportunities of safety monitoring too: the first – is receipt of notices as SMS message at operation of one or another security equipment or online monitoring, for example through Internet. Optimum variant, again in our opinion, is the installation of the safety system of the perimeter of allotment garden with supplying of remote monitoring through Internet in online environments. Fortunately, the operators of mobile Internet work now even in the most remote nooks of the world and even in the case of weak signal, due to modern technologies, situation is soluble easily. Of course maximum safety of external perimeter of allotment garden is supplied at the expense of installation of integrated security system including safety sensors and the video control system. For example, in a few cases we were doing the perimeter security sensors along fence, the antidigging system, the system of videosupervision, as well as motion sensors around the perimeter of the house. But still we consider an optimum budgeting safety assurance variant, therefore a part of presented hardware of protection will have to be excluded. After long disputes we came to the conclusion that optimum, budgeting and sufficient safety system of external perimeter of country allotment garden will be the video control system with opportunity of remote monitoring sending of announcing at actuating of safety sensors provided in security videocameras. In such a manner, the total value of the equipment (with the exception of cables) of optimum safety system of external perimeter of allotment garden at dollar exchange rate on 03/19/2015 will cost approximately to 35 000 roubles, and all it would look approximately here so. 2. Safety assurance of inside space of country house and other economic constructions. Here more less all is clear, but nevertheless regarding safety assurance of inside space of country house and-or economic constructions as well it is possible go by two ways. 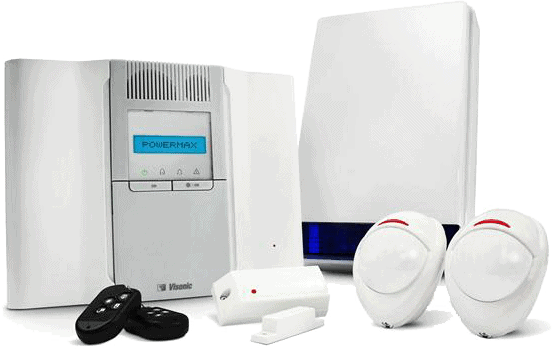 The first – is to purchase cheap security systems supplying the decision of specific objective. For example, to purchase a security-fire safety system supplying monitoring of the premise with the aid of safety and fire detecting sensors. Either only safety or only fire detecting system. One way or another, but as practice shows, in 90% of the cases Customers think in due course of custom programming and the amount of security zones and it is necessary either buy in addition new security blocks or to install a modular safety system which could be established originally, and subsequently only to expand her, buy some more additional expansion modules. In connection with stated, the installation of modular safety system, in our opinion, is an optimum variant of safety assurance of inside space of country house and other economic constructions. Therefore further we will consider equipment exactly these safety systems. So, if to study the producer market of complex safety systems supplying maximum quantity of security opportunities, and in some cases still electively performing functions of the equipment of “connected home”, then it is possible to allocate following brands: “Shneider Electric”, “Crow”, “Jablotron”, “Visonic”, “Ademco” and some other, which in given article are not considered. But if to consider these manufacturers from the standpoint of minimisation of financial expenditures, then optimum on correlation “quality-price” we would allocate the equipment of companies “Jablotron” and “Visonic”. On functionality and opportunities of expansion specified safety systems approximately are identical, however, at the price of, the equipment of the company “Jablotron” somewhat cheaper than equipment “Visonic”. At the same time, from the position of convenience and simplicity of use the equipment of the company “Visonic”, in our opinion, is optimal. Both systems modular, that is, they can be expanded, as well as both have opportunity of integratability of “connected home”, both their own production and production of lateral manufacturers of the systems “connected home”. Below we will consider minimum sets of component parts, needed for safety assurance of inside space of type single-story country house with opportunity of remote monitoring (i.e. given security systems direct to telephone and-or e-mail of announcing at actuating some or other safety sensors). 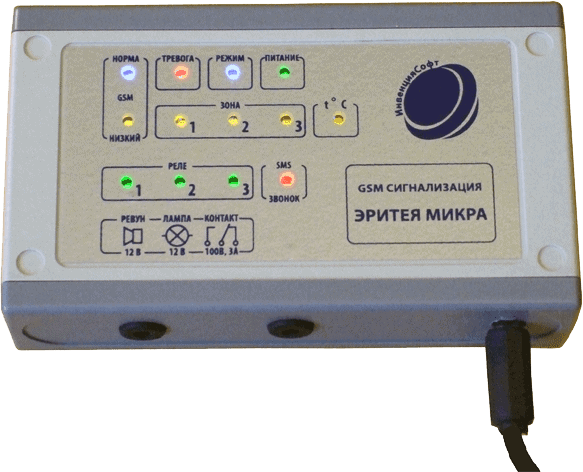 We will consider now in more detail security equipment of companies “Jablotron” and “Visonic”. As we mentioned above, specified safety systems are modular. Besides they are combined. What is this such? “Intellect” of safety supply system is a control panel. Just to it are connected and-or interact safety sensors and other actuators. In specified safety systems wire and wireless safety sensors can be applied that optimum for connection of security gauges of lateral manufacturers. That is why these safety systems, apart from modularity, name combined. Besides wireless and wire safety sensors whose given manufacturers produce for all occasions (motion sensors, break glass sensors, fire detecting sensors, sensors of opening of the door, air pollution sensors, Water Alarm etc. ), in reserve of “Jablotron” and “Visonic” there is components of the monitoring system of access, with the aid of which it is possible to organise controllable access to object, as well as the video control systems. Apart from all of set forth above to given systems integrate easily the elements of “connected home” – it is possible to realise inclusion/switching off of household equipment, to provide maintenance for aged relatives etc. All listed opportunities can be controlled both in place of installation of the safety system and comfort and remotely, for example with the aid of smartphone, tablet or computer. And we once again pay Your attention that leader device in all system is a control panel, through which control and object monitoring is implemented, on which one or another safety system and comfort is installed. That is, as a matter of fact, minimum necessary attribute for the beginning of work is exactly a control panel of the system of protection and safety. In such a manner, at the early stage it is possible to purchase the most minimum of the equipment only under those purposes which should be realised at present (for example, to establish a control panel and wireless motion sensors to rooms), and then, eventually, to expand practically unlimitedly safety system and comfort for use as new and new tasks. Now that the main functionality of safety systems and comfort more or less dismantled in detail, we will proceed to minimum complete set, with the aid of which it is possible to provide safety of inside space of country house and other economic constructions. 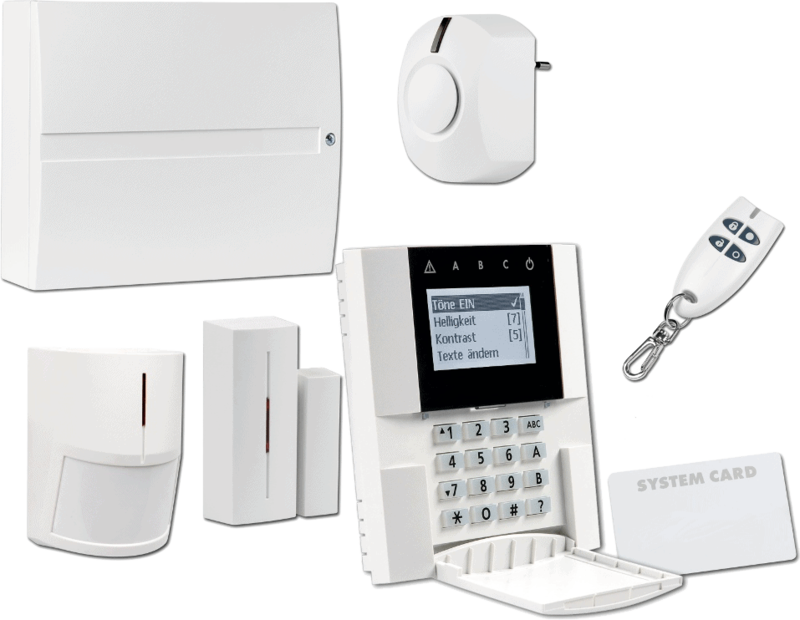 So, that and other manufacturer issues minimum necessary sets including control panel of the safety system and comfort, one or two motion sensors, sensors of opening of the door and alerter. Cost of such set from company “Jablotron”, at dollar exchange rate on 03/19/2015, on the average accounts for about 30 000 roubles, and from company “Visonic” – about 34 000 roubles. At the same time once again pay Your attention that hereinafter You will be able to expand your system practically without limitations, solving any tasks of safety assurance and comfort. To completion of the common picture we will consider one more of the main questions: how with the aid of these systems it is possible to provide safety of country house and allotment garden as a whole, when installed safety systems are not connected to central control room of security provider (though such opportunity have)? Here variants somewhat. First, if You in the settlement have protection, then it is possible to organise a local control room on guard post and all alarm signals from one or another connected house will come to this board and local security guards will be able to react to penetration of extraneous to Your allotment garden. The second variant is if at You in neighbourhood somebody lives constantly, then at operation of the safety system You, first, will be able to look up independently what happened with the aid of the video control system (see the first part of article) and, if doubts remain, to ask their neighbours to check Your garden. Well, and the third variant are all to make independently, i.e. at receipt of the alarm signal, first, to examine garden with the aid of the video control system (besides external it is possible still to establish one-two inside miniature videocameras indoors) and, if something not so, to arrive to one’s garden and to solve problems in the place. Besides at operation of the safety system You can call the employees of the police which are obliged to react to such calls. Sum up: establishing independent safety system You, first, do not pay an abonent payment to security agencies, secondly, You will be able to organise it for use as decision of your specific objectives, at the same time providing safety of external perimeter of garden and inside space of country house at all not worse, and at average complete set of the safety system and comfort it is much better, than it could be offered by private security companies. 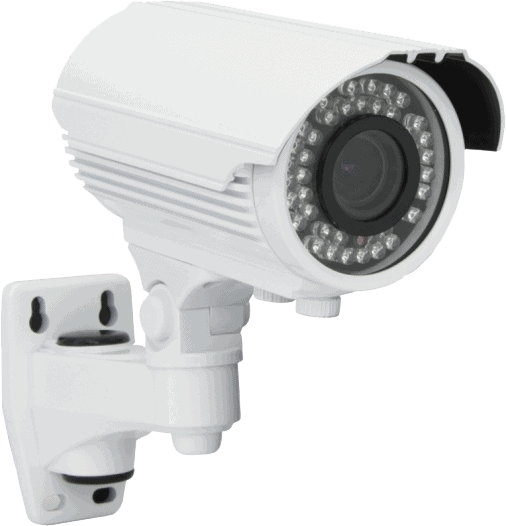 The total value of minimum complete set of security equipment to date (03/20/2015) will account for about 65 000 roubles (the equipment of the video control system for external perimeter + the safety systems of inside space of country house) that in comparison with the sets of security equipment offered by private security companies, and taking into account by monthly abonent payment practically to two and even three times cheaper. Summarizing above-stated, remains to say: think themselves, decide themselves…. We in turn guarantee You qualitative installation and set-up of the whole equipment of safety systems and comfort at the highest level.